www.americaneagleinv.com welcome’s links to this website [made in accordance with the terms of this linking policy]. Links pointing to www.americaneagleinv.com should not be misleading. Appropriate link text should be always be used. From time to time we may update the URL structure of our website, and unless we agree in writing otherwise, you are responsible for updating said links. This website includes links to other websites owned and operated by third parties. These links are not endorsements or recommendations. 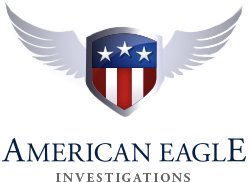 www.americaneagleinv.com has no control over the contents of third party websites, and www.americaneagleinv.com accepts no responsibility for them or for any loss or damage that may arise from your use of them. You agree that, should we request the deletion of a link to www.americaneagleinv.com that is within your control, you will delete the link promptly. Contact Email: essdan@aol.com, All Rights Reserved.